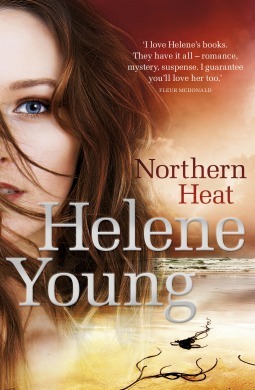 Northern Heat is a fantastic romantic suspense novel set in the eastern coast of Australia above Cairns. 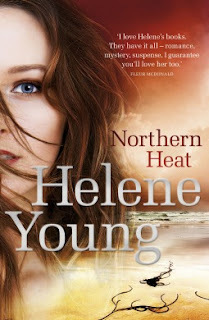 Having read Safe Harbour, a previous book by Helene Young I guessed it was going to be action packed. I also surmised that characters could die, because Helene Young doesn't seem to hold back when it comes to the seamier side of life. I enjoyed this novel very much. Kristy is a local doctor and has a daughter Abby who is in early adolescence and has those problems that go along with that age. Was a little surprised to see Kristy just let one issue ride, but perhaps wiser than I know! Conor we met in Safe Harbour so it was great to carry on his story, if you haven't read that one it doesn't matter too much as Helene Young does give you enough to either help you take up this book, or in my case just gives that jog to memory that helps a reader remember. Loved Conor and his part in this story, if he is trying to atone for previous mistakes he has paid in full to my way of thinking. Action packed and yes there are baddies, most likely you could give that a capital B! Does anyone die you'll have to read the book for yourself to check that out. One of the baddies has a wife who is also friendly with Kristy and there is a daughter who is a good friend of Abby. There is a domestic violence situation in this family that is echoed in Kristy's life in the past. It is partly what draws Kristy and Freya together. Tension! Tension! The description of the local setting and the weather in a cyclone is detailed and really adds authenticity and drama to the story. All in all it is fast paced, has fully fledged characters and issues that just pull you in. Loved the action of the cavalry in one of those last showdown moments. A fitting end to someone! This sounds fantastic! I'm going to add it to my 'ToRead' list. I like that it is set in Australia. I do like the sound of this one...an author I have not read, but she sounds awesome. Thanks for sharing! This book sounds like one I would enjoy reading I will have to be that one on my list TBR pile. Oh wow this sounds amazing, thanks! Oo interesting! I don't read enough rom-suspense these days and one that's in Australia sounds pretty good! I will have to be on the look out for this author. I love good tension and action. Sounds good. I loved this book, glad you did too!